925 Silver is used as base material. Made by using fresh water pearls. Embrace your beauty and highlight your pretty. One of the staples in women’s fashion jewellery is pearls – it adds a classy appeal to any outfit! This exclusive shiny material that is borne out of wild goes well with any occasion and suits women of any age, of any stature. Pearl jewelleries are always in vogue accentuating women’s elegance by infinite times. Jay Mataji is an online store that makes use of the most delicate and stunning pearls to create jewelleries representing symphony of traditional art. You will be delighted to screen through a wide range of selection and buy strikingly exquisite silver and stone studded pearl ornaments making everyday an occasion.One of the staples in women’s fashion jewellery is pearls – it adds a classy appeal to any outfit! This exclusive shiny material that is borne out of wild goes well with any occasion and suits women of any age, of any stature. Pearl jewelleries are always in vogue accentuating women’s elegance by infinite times. Jay Mataji is an online store that makes use of the most delicate and stunning pearls to create jewelleries representing symphony of traditional art. You will be delighted to screen through a wide range of selection and buy strikingly exquisite silver and stone studded pearl ornaments making everyday an occasion. Get ready to flaunt, ‘the girl with the pearl look’, because at Wishvilla pearls are not just for the nobility. 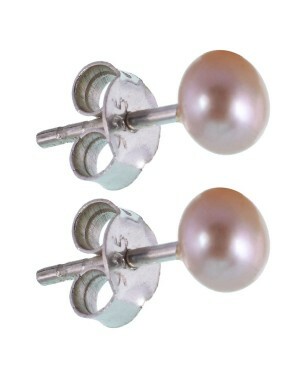 The pure pearls adorning the ears could be the best gift for your beloved. Presenting the most ravishing set of pearl earrings right from the heart of the city of Jaipur. The perfect pair just for the perfectionists. Purchase the most glamorous pearl earrings for your loved ones. A promise of purity.